Find your sweet spot to cool off this summer! The city is heating up and for most of us that only means one thing, finding the best ways to cool down. You can enjoy one of the nice terraces or a city beach, but the best way to cool down is with ice cream! 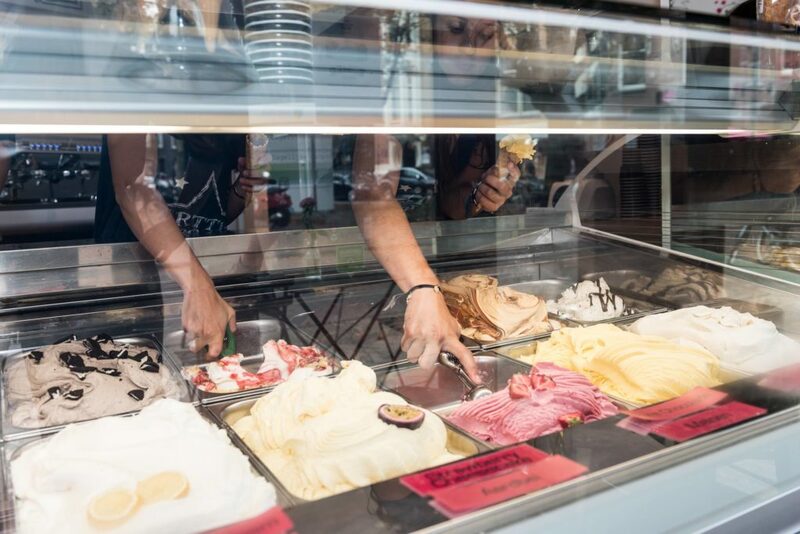 The city is full of places where you can buy Italian ice cream, soft serves and popsicles, but where can you buy the best ice cream in Amsterdam? To save you the trouble of having to try them all, we tried them all and listed the best places right here on our website. After many scoops of ice cream we’ve narrowed it down to the 10 best spots to score your next scoop. The following places are, in random order, the best places for ice cream in Amsterdam. 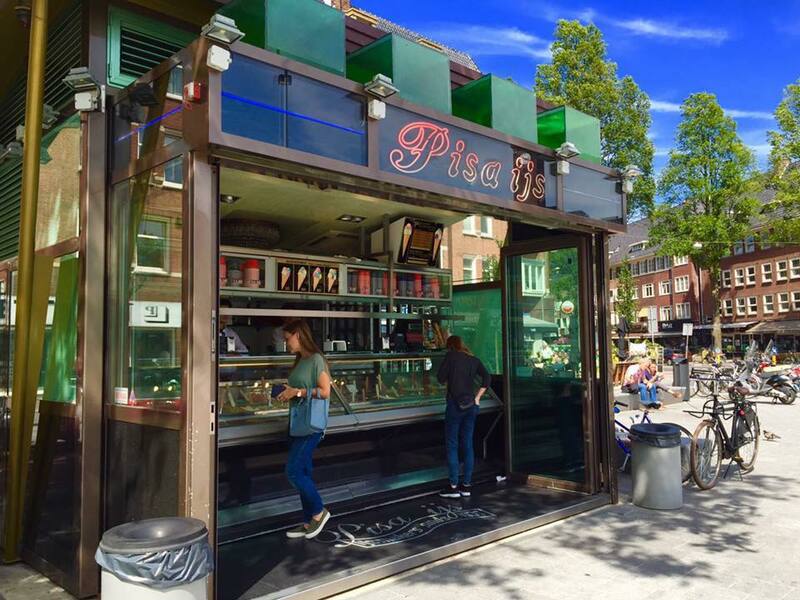 Pisa IJs serves authentic Italian ice cream, on a warm summer evening people line up to cool down with one or two scoops of their delicious ice cream. Our personal favorite is the cookie dough, but you can’t go wrong with the classics such as pistachio or vanilla either. IJscuypje has 15 locations in and around Amsterdam, this means that there is always a shop selling tasty ice cream near you! All their flavors can be bought in scoops or in a milkshake variety. This shop is open year-round and has special flavors for every season. This cool spot is located close to the Sarphati park, this means that you can buy some ice cream and take a nice stroll through the park on a warm summer day. They serve some great vegan options to so they truly serve everyone! 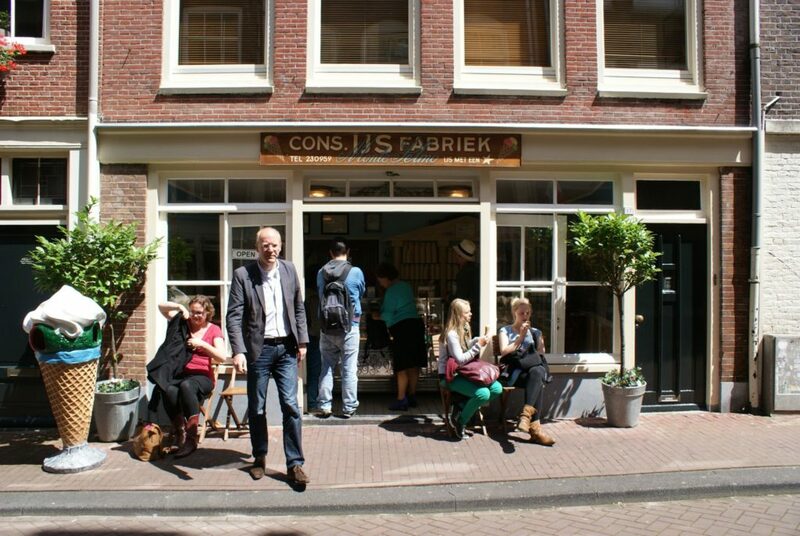 You can’t make a list of the best ice cream places in the city without including this ice cream icon in the Jordaan. At Monte Pelmo people line up for a scoop and it is so worth the wait! They have a wide variety of flavors but we keep on ordering the strawberry cheesecake because it is just so good! We are sure however that you will be satisfied with whatever flavor you choose! If Monte Pelmo is a bit too far for you, see if Het Ijsboefje is closer to you. Here they serve Monte Pelmo’s ice cream so the flavors are just as good! Besides that, they also have 28 different kinds of milkshakes. Is there any better way to cool down? 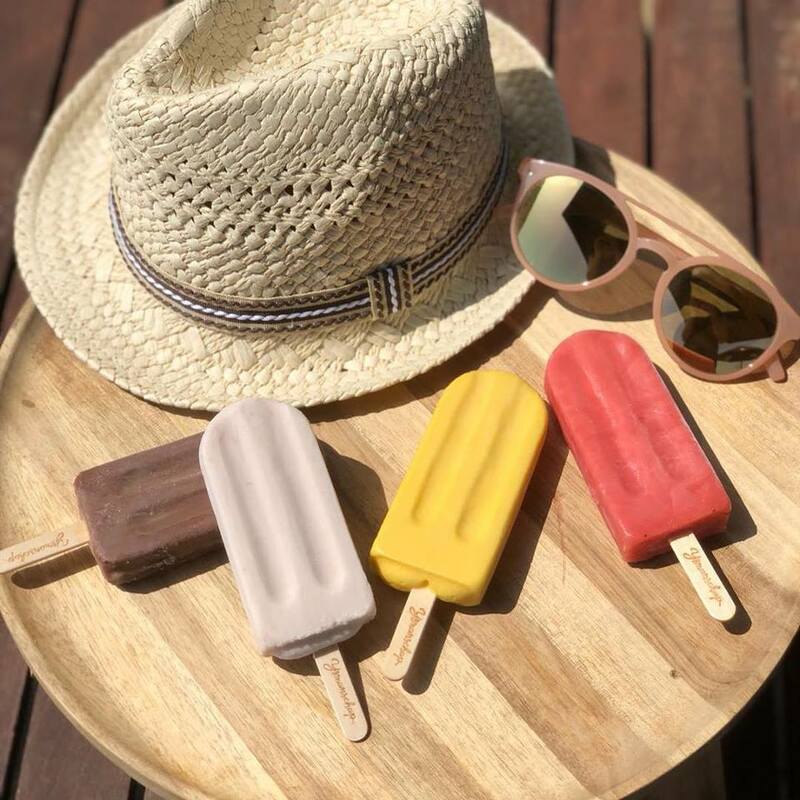 If Italian ice cream and soft serves aren’t your thing you can always try one of the popsicles at Nice. Nice makes the nicest, healthiest popsicles that are all produced as pure as possible. That means lots and lots of fruit and very little added sugar and preservatives. Watermelon and mint is one of the most refreshing flavors in our opinion but if that is too experimental for you, just go for a strawberry popsicle. They have various sales points in the city, so there is always a Nice popsicle nearby! 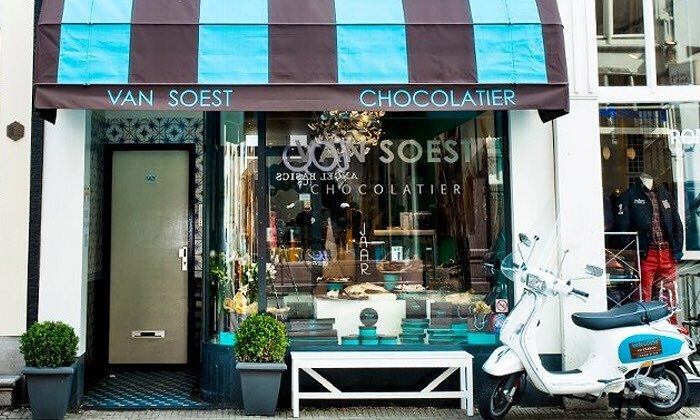 Officially van Soest is a chocolatier (and a very good one we might add) but when temperatures rise we flock to van Soest for the other sweet bites they sell, here they also serve amazing ice cream! And who says you can’t order ice cream for now and a few chocolates for later… just remember to keep them cool! Heat and chocolate don’t mix well, so maybe eat them sooner than later? Fancy “Oud Zuid” is full of cute boutiques, so it shouldn’t surprise you that the IJsboutique also found his home in this beautiful part of town. Here you can get some amazing sorbets (the strawberry is very tasty and low-calorie) that taste super fresh! They also serve scroppino, ice-shakes and ice coffee. For those really looking to indulge we recommend the Kinder Bueno flavor, JUM! In de Pijp you find Pasticceria, a store with such a lively shop window that you have to take a peek inside. Once you do you see tasty pastries, macarons and the ice cream counter. When you do step in to the store we highly recommend the red velvet ice cream. This is the best popsicle bar in the city! Forget about the boring, standard popsicles that you can get just about anywhere. Here they sell true pieces of art. From white chocolate with raspberry to a Vietnamese iced coffee or a lemon cheesecake popsicle. The flavors are anything but ordinary. However, if you are craving a simple strawberry popsicle they do sell those too! As ever, ten places aren’t enough to list all the places that we’ve sampled and loved. Below you will find the other places that are worth mentioning. Please don’t forget to share your own favorite, we would love to sample some more ice cream and update this list! This deli in the Red Light District sells some great ice cream flavors such as New York Cheesecake, Salted Cookie Caramel or Lemon and Basil. It is the perfect snack while you explore this exiting part of town! 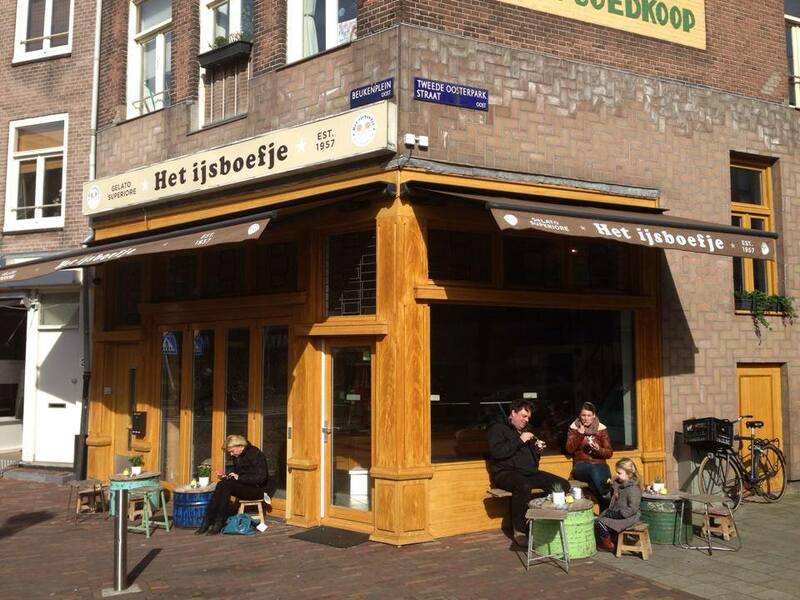 At the Haarlemmerplein you will find the first 100% vegan ice cream bar in Amsterdam. 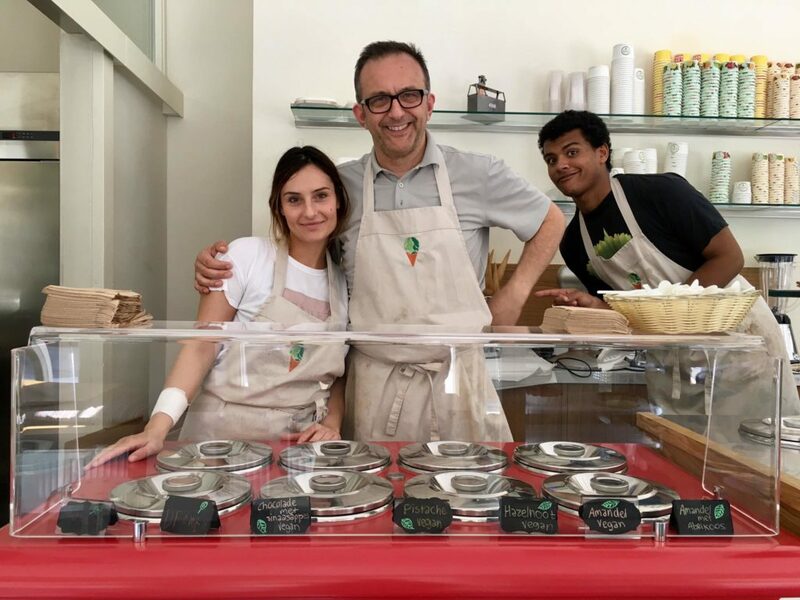 The Van Leeuwen vegan ice cream (founded in New York) is sold here in the Juicebrothers location. So if you are not in the mood for a healthy juice you can opt for a 100% cruelty-free vegan scoop of ice cream!